Mischke, J., Emerson Kaychak, A., & Courtney, C. (2016). Physiotherapy Theory & Practice, 32(2), 153-158. Rotator cuff tears are a common and debilitating injury which are frequently treated with surgical interventions. Some conservative treatment interventions, specifically directed toward the cervical and thoracic spine, have been shown to be successful in patients with rotator cuff pathologies, but little research has been done on those with full thickness tears. This aim of this study is to investigate conservative treatment of a full thickness supraspinatus tear using mobilization of the sternoclavicular joint (SCJ) in a patient with several co-morbidities. A 57-year-old female with chronic right shoulder pain and dysfunction was referred to physical therapy after an MRI confirmed a full thickness supraspinatus tear. The patient was deemed a nonsurgical candidate due to her high body mass index of 59 and the presence of multiple co-morbidities known to affect tendon healing (hypercholesterolemia, hypertension, diabetes mellitus, depression, and hypothyroidism). The patient presented initially with significant upper extremity weakness, 0–80° of active shoulder flexion range of motion (ROM), a 7/10 on the numeric pain rating scale (NPRS), and a QuickDASH score of 65.9%. After six treatment sessions using a multimodal approach of glenohumeral and thoracic mobilizations, rotator cuff and scapulothoracic strengthening exercises, and posterior shoulder stretching, the patient reached a plateau in her functional improvements and pain reduction. Upon reevaluation, SCJ hypomobility was noted while the glenohumeral joint, ribs, cervical and thoracic spine all demonstrated normal mobility. After a single treatment session including Grade III caudal mobilizations to the SCJ, the patient demonstrated an increase in active shoulder flexion ROM, and reported a reduction in pain. Following six more visits using a multimodal approach including SCJ mobilizations, the patient was discharged with increased active shoulder flexion ROM from 0-170°, pain reduction to 1/10 on the NPRS, and a reduction on the QuickDASH to 31.8%. This study clearly demonstrates that conservative treatment using a multimodal approach, including SCJ mobilizations, is successful even in patients with irreparable rotator cuff tears and multiple co-morbidities. This article was of particular interest to me because until this semester, the sternoclavicular joint was a joint I had not examined nor considered in my overall assessment of a patient. 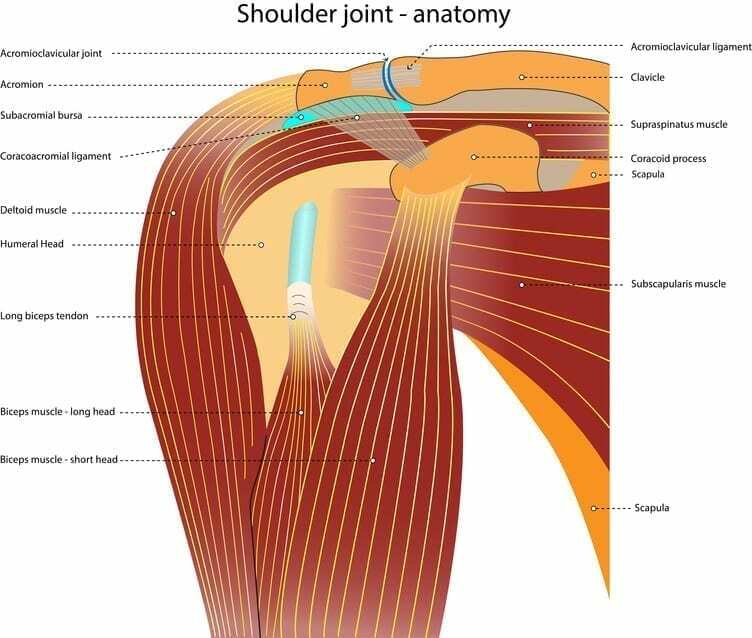 After reviewing the articles and cases provided to us regarding this joint, I further understand the importance of its mobility in the proper mobility of the shoulder complex, including the acromioclavicular joint, glenohumeral joint, and scapulothoracic joint. The proper biomechanics of these joints is dependent upon clavicular motion at both ends (Ludewig and Braman, 2011). In the case in this study, the SCJ was quickly screened during the initial evaluation, but after progress plateaued and a more thorough re-evaluation was performed, the presence of ipsilateral SCJ hypomobility was noted and treated using mobilization techniques. Once proper mobility was restored to the shoulder complex, as well as, the cervical and thoracic spine, in conjunction with strengthening of the rotator cuff and scapulothoracic muscles, significant improvements in function and pain were achieved in a case where little improvement was predicted (Mischke, Emerson Kaychak, & Courtney, 2016). Just as in this case, the SCJ is often overlooked due to the presence of higher ranking and more obvious impairments. This is why it is important that we perform a detailed subjective and objective assessment with joint specific testing and continuously re-evaluate our patients and update our plan of care as necessary. I will make sure to employ these principles in my own PT practice and not be afraid to take a second look at my patients or make adjustments as progress may plateau or certain interventions may not prove effective in achieving the patient’s functional goals.